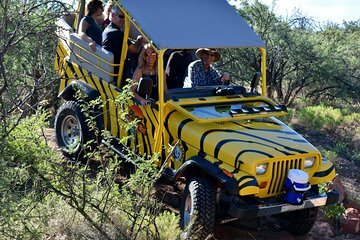 This tour combines an off-road jeep adventure at the Out of Africa Wildlife Park in Camp Verde, just south of Flagstaff, with a premium wine tasting. Ride a four-wheel drive jeep along off-road desert trails and visit a popular Verde Valley winery to sample local wines. Upgrade to include a horseback ride and lunch.